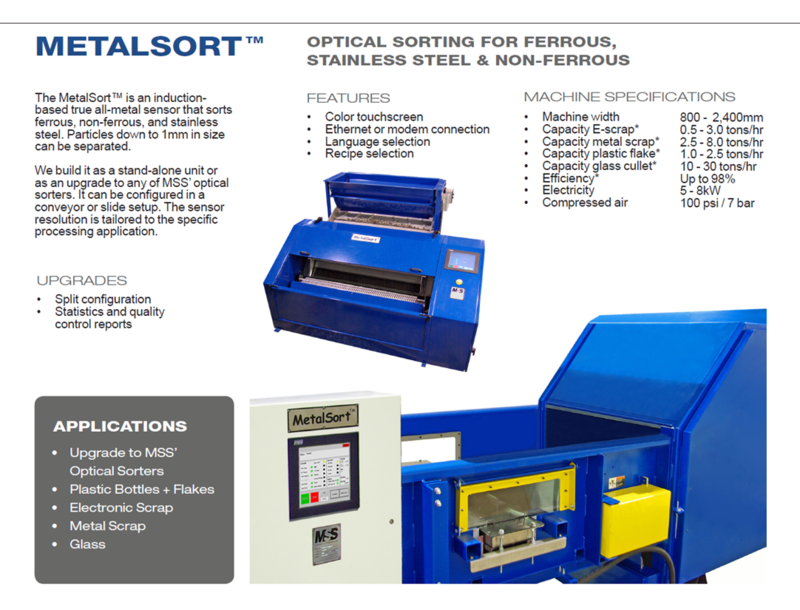 As a stand-alone unit, the MetalSort™ provides for the removal of metal contaminants (ferrous, non-ferrous and stainless) from plastic flake/pellet/granulate streams. We have used our own induction-based metal detection technology for more than 30 years in dozens of different applications. The latest generation provides maximum sensitivity at low cost and durability.